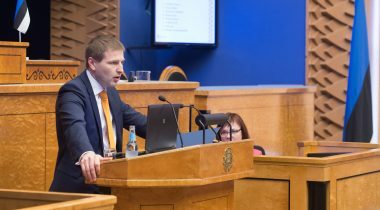 At Question Time of the Riigikogu (Parliament of Estonia), Minister of the Interior Hanno Pevkur replied to the question of Anneli Ott about the reforms and salaries in the Police and Border Guard Board. Anneli Ott pointed out that the Police and Border Guard Board planned to merge three police districts in South Estonia – Võru, Valga and Põlva police districts – into one, the South-East District next year. She asked the Minister of the Interior if one of the aims of that pilot project was increasing the salaries of present employees, and she also asked the Minister to give an assessment how much it would be possible to economise in the Police and Border Guard Board and make employees redundant, so that the organisation would still work and be able to perform its functions. Minister of the Interior Hanno Pevkur explained that the project that at the moment was in pilot stage in Võrumaa, Valgamaa and Põlvamaa was carried by the wish to harmonise management levels and to give additional resources for responding across the counties. The Minister said that the South-Eastern Region was one of the most complicated, considering the new generation of police officers, and although certain service categories in the region had additional remuneration factors, it was still hard to hire people to work in the police stations there. “The fact that the Government of the Republic has provided the growth of the salary fund by 3 percent in the next year’s budget means additional resources the Police and Border Guard Board can use. How it will be distributed internally will be seen in the coming weeks, when the Police and Border Guard Board will be able to make such decisions,” the Minister said. “But regarding the question whether the pilot project would enable to increase the salaries of, for example, the police officers who do the daily patrolling work, then it would certainly create additional possibilities for that, because it is the management level, where the salaries are higher, that will be reorganised,” Pevkur pointed out. He added that it was necessary to continuously deal with the new generation of personnel. “As I have said before, about 1700 police officers, or more than 40 percent of active police officers, will reach the retirement age during the next decade. It is a very large number, and it forces us to think about increasing the number of new officers coming from the Academy of Security Sciences, and also find resources for increasing the salaries so that the people who are working in the police today would not have to leave,” the Minister said. The Minister of Internal Affairs also replied to the question of Arno Sild about the current situation of the construction of the eastern border and Raivo Põldaru’s question about the possibility of constables to ensure the security of people in their region. 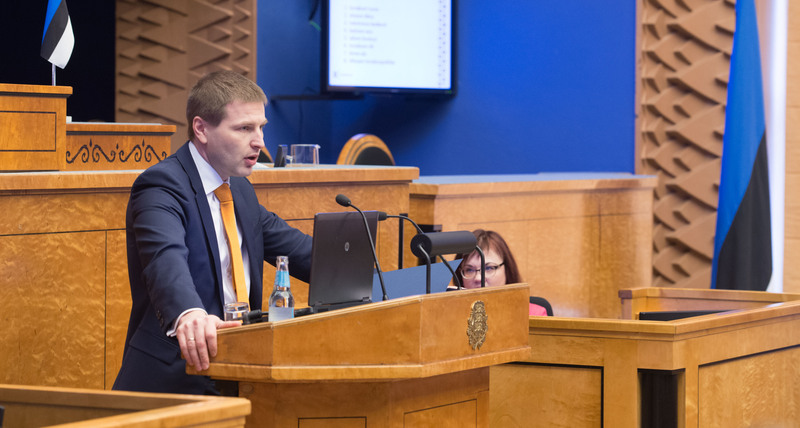 Prime Minister Taavi Rõivas replied to Dmitri Dmitrijev’s question about the administrative reform, Kristjan Kõljalg’s question about labour taxes and Aivar Sõerd’s question about public finances. Minister of Entrepreneurship Liisa Oviir replied to Kalle Palling’s question about the activities of Enterprise Estonia.